The Fastbind Presso™ is a thermal press designed to make grooves quickly and easily & to aid inthe casing-in of hard cover books. every time. 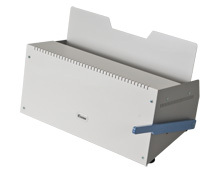 The Presso is compatible with Fastbind Casemakers™, FotoMount™, BooXTer™ and all Hot Melt binders.